About the Client: Broadreach Capital Partners was established in 2002 and is a real estate investment firm that focuses on western U.S. commercial and hotel properties. The management team formerly lead Spieker Properties, one of the nation’s most successful public REIT’s. 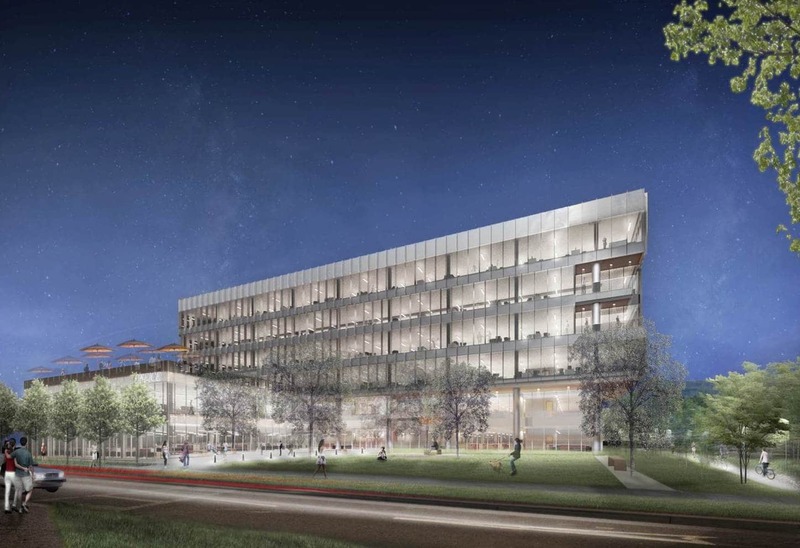 Project Description: Nova Partners serves as Broadreach Capital Partners’ construction manager to building to build this ground-up office building for their tenant, Google. The project is among the first to receive project approvals for a 1.0 FAR (floor area ratio) from the City of Mt. View in the North Bayshore Precise Plan Area. The project consists of a 6-story office building totaling 245,000 SF of rentable area and a 5-level parking garage. The project is designed to achieve a LEED Platinum rating. The Nova role includes managing the shell and core design, construction, budget, and schedule for Broadreach. Nova Partners’ Role: Nova is engaged to manage the cold shell for the landlord, and to manage the warm shell improvements to meet the project needs as required by Google.